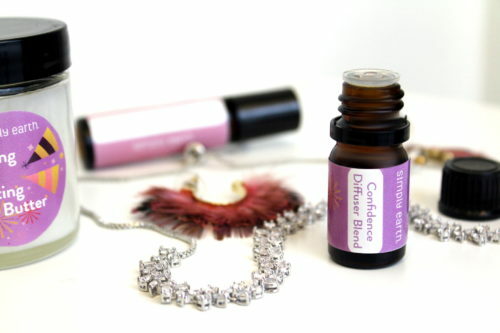 Creating simple essential oil recipes for your home, health and beauty is easier than think. And it doesn’t have to cost a lot of money. Keep reading to discover how you can get started making your own products at an affordable price with no special equipment to buy! 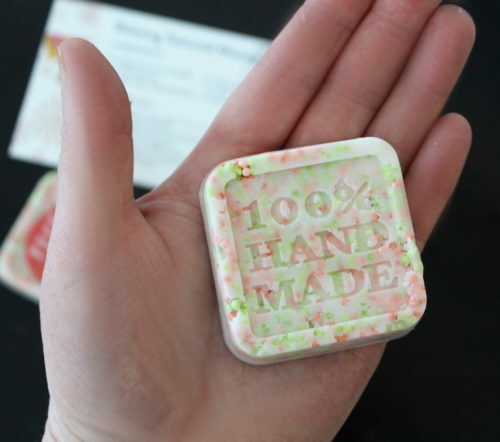 There’s a universal truth about soapmaking. 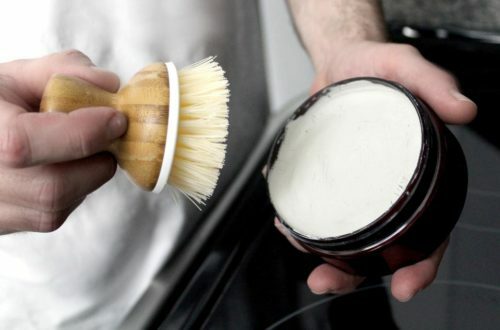 And it’s not really one we’re aware of until we actually devote ourselves to becoming soapmakers head on. It’s not a cheap hobby. In fact, getting started can require a pretty hefty investment. Throw in beauty and skin care recipes and you accidentally blew your entire grocery budget for the month. 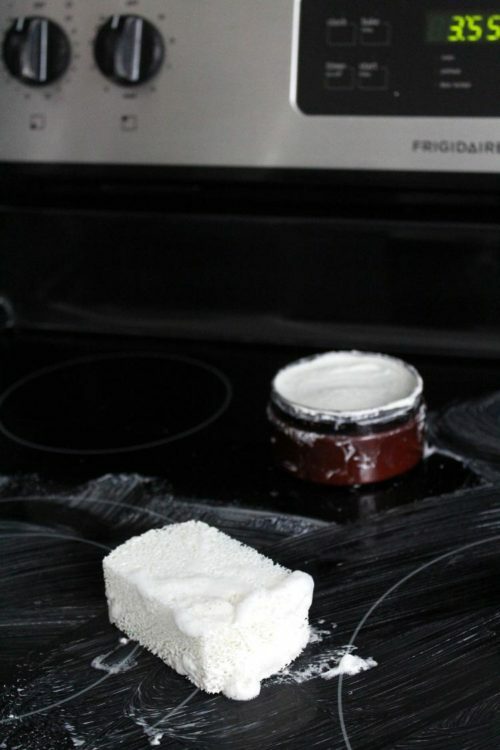 Even those DIY kits from soapmaking suppliers can run on the high side. I’ve seen a few that were over $100. And they only make a single recipe. Add essential oils to the mix and it can get expensive AF pretty quickly. So why can’t there be an affordable way to explore multiple arenas of making simple essential oil recipes for home, health and beauty? There is. It’s called Simply Earth. Simply Earth is exactly what its name implies. Simple, plant based ingredients for crafting simple essential oil recipes for home, health and beauty. 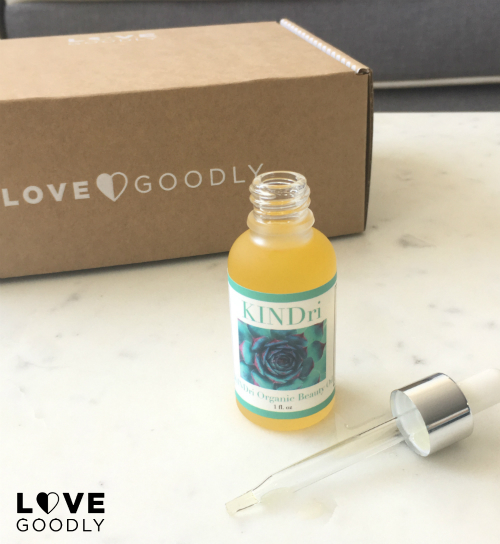 A monthly essential oil subscription box, Simply Earth provides you with everything you need to make simple essential oil recipes when you join. 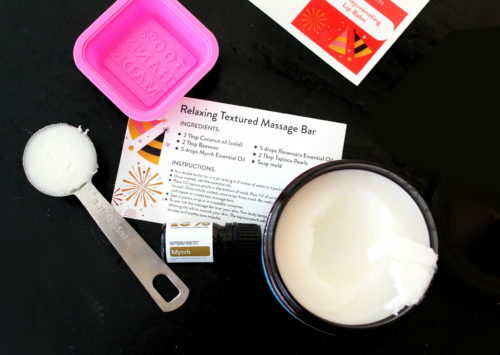 From the packaging and containers – like roller balls and lip balm tubes – to ingredients and recipe cards. There are even stickers for your finished products! If I were ever to do an unboxing video, Simply Earth would be the box I’d start with. My lack of patience for such things aside, the monthly essential oil boxes from Simply Earth are, well, simply stunning. Beautifully packaged for both presentation and care, Simply Earth is everything one can hope for in a DIY essential oil box. In fact, the very first time I learned about Simply Earth, I knew I had to get one for myself! What makes Simply Earth so amazing? 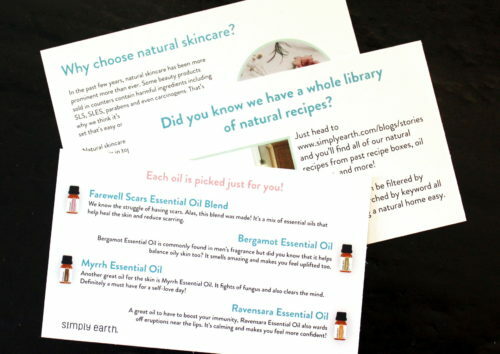 I received the January box from Simply Earth and can’t say enough great things about it. What makes it so amazing? Well, I’ll tell you. If you’ve ever purchased materials in bulk for a project you know how much space they can take up. Living in a tiny *almost* studio sized apartment, I understand how important it is to save on space. So if you end up with a massive amount of containers and ingredients for a project you only plan to make once, it’s a challenge to find room for the leftover supplies. With Simply Earth you get all the materials you need in a SINGLE box for multiple recipes. There are still ingredients like essential oils, carrier oils and even beeswax leftover to use in future essential oil recipes. However, they aren’t going to take up three shelves in your cabinet. As previously mentioned, getting started with essential oils as well making natural home, health and beauty recipes can be costly. With Simply Earth, your up front costs are minimal. And with each new monthly essential oil box, you can make multiple new projects. All for an affordable price that fits most budgets. 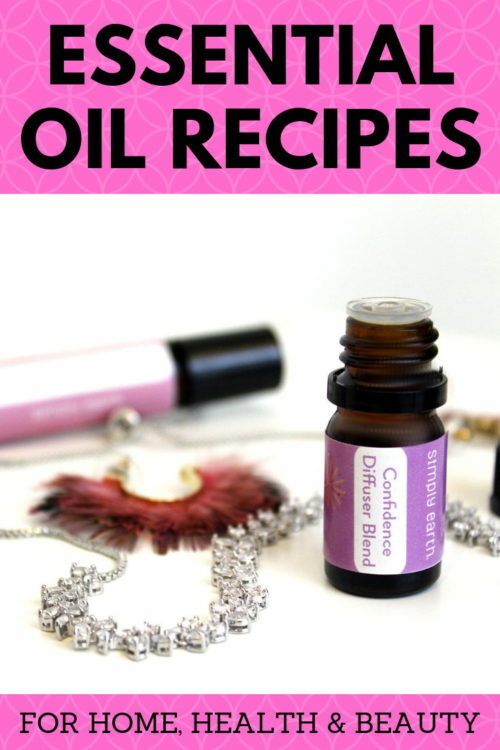 So creating your own simple essential oil recipes is fun, affordable and easy. 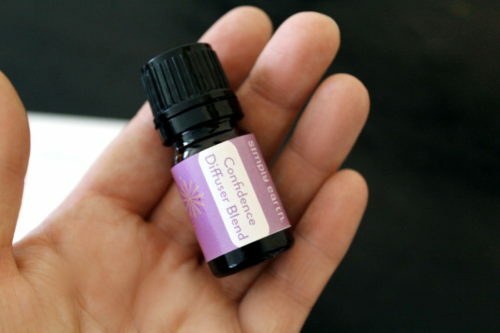 It also makes it easy to grow your essential oil collection over time. Plus, all of the essential oils from Simply Earth have been tested and proven pure. So you know you’re getting a quality product. 3. You don’t need to buy any special equipment. Most of my own natural beauty and skin care recipes require you purchase a digital scale for weighing out ingredients. Or you may need a special mold. However, if you aren’t a serious soapmaker, or just want a basic introduction to new ingredients, Simply Earth gives you just that. Everything you need to get started with no special equipment to buy. 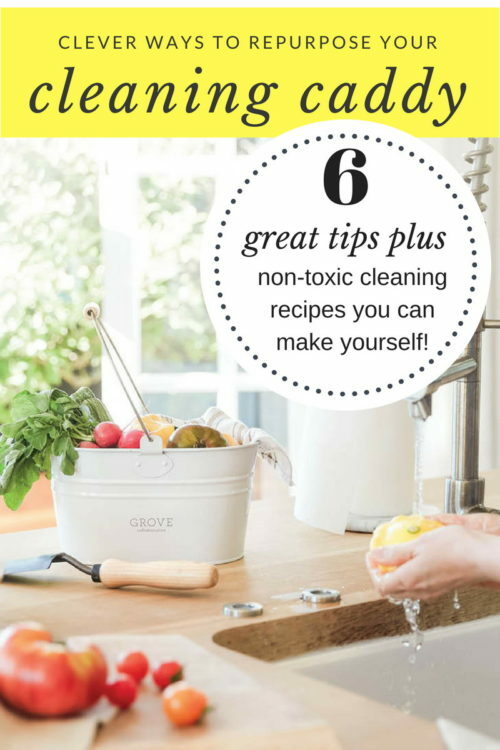 Plus there are six, brand new simple essential oil recipes to make each month. 4. It makes learning accessible. Most of us have busy lives. And while we love learning new things, sometimes starting a new hobby or project can seem overwhelming – as well as time consuming. The essential oil boxes from Simply Earth introduce you to new essential oils slowly over time. So it’s easy to build on your knowledge and learn about the health and beauty benefits of essential oils. 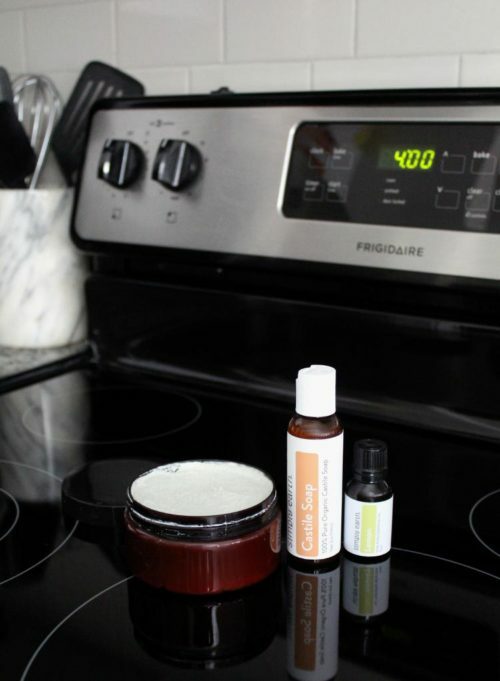 Plus, each of the simple essential oil recipes found in Simply Earth boxes can be made in around ten minutes or less. This allows you to take time out for self care while also creating something new that fits perfectly into your healthy lifestyle. 5. 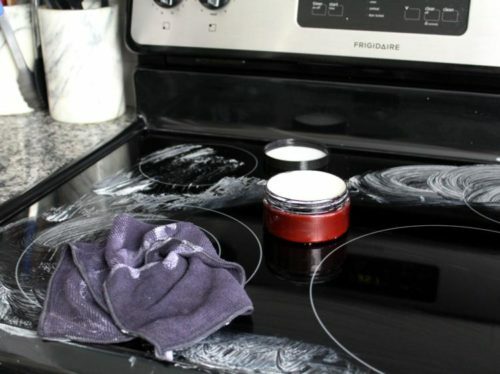 There are lots of recipes to get you started. Want to make something new? Simply visit the Simply Earth website for a wide range of simple essential oil recipes for home, health and beauty. 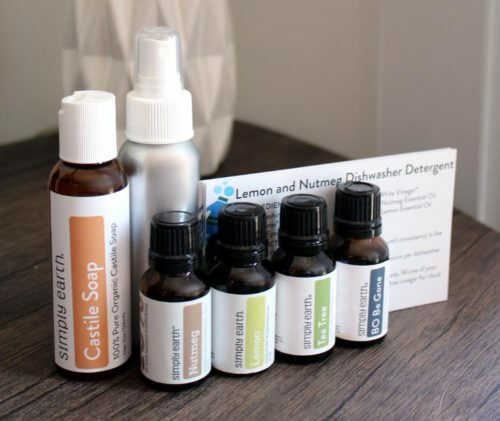 The Simply Earth blog offers simple essential oil recipes on how to make bath bombs, essential oil diffuser blends, body butter, sugar scrubs, face masks, candles, cold support chest rubs, natural germ cleaners, essential oil fruit & veggie wash – even essential oil jewelry diffusers! 6. Simply Earth boxes are fun for everyone. 7. They donate to charity. Finally, Simply earth donates 13% of their profits to organizations that work to end human trafficking. Inside my Simply Earth essential oil box. 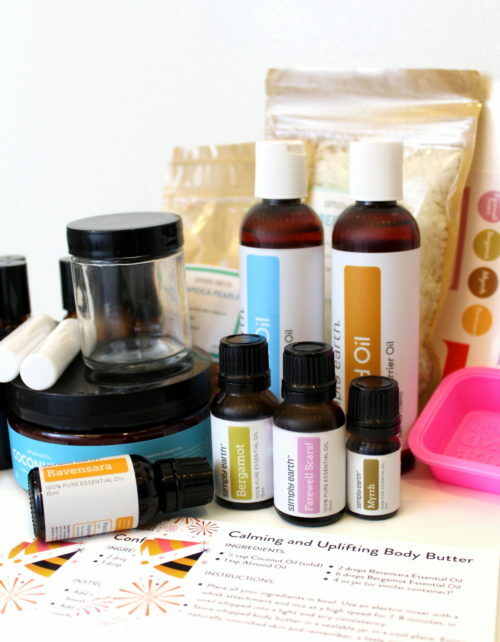 Get your essential oil box from Simply Earth! I can’t wait to receive next month’s essential oil box from Simply Earth! The theme for February is natural makeup. 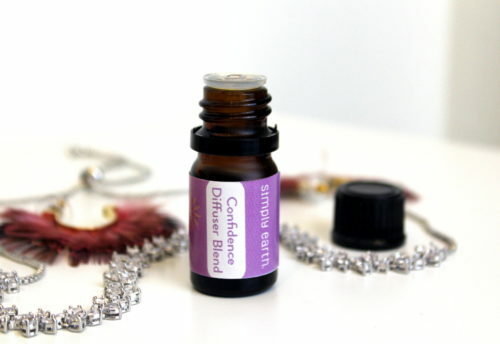 Not only will this box contain six simple essential oil recipes for natural makeup, it will also include the following essential oils and blends: Beauty Within, Geranium, Coffee and Copaiba. Plus there are bonus items like eye makeup containers and natural colorants! If you’re excited as I was when I first learned about Simply Earth, then make sure you start your monthly subscription! 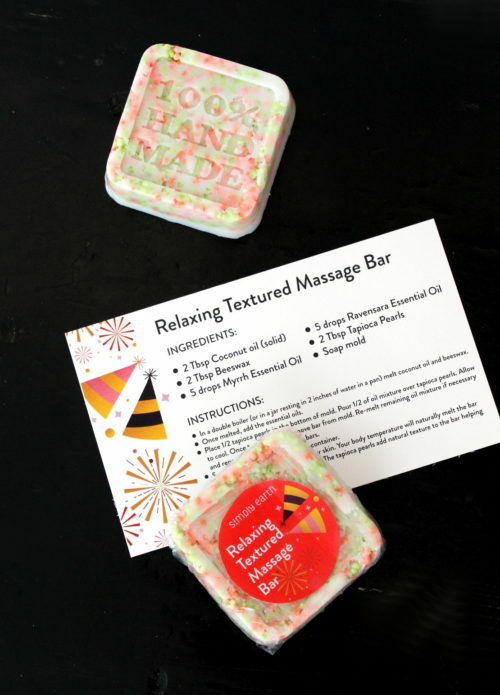 Not only will you receive a free bonus box, you’ll also get a gift card $20 off your next order when you use coupon code: SOAPDELIFREE If a monthly box doesn’t fit your budget, no worries. You can opt in to receive a quarterly essential oils box with six simple essential oil recipes instead. Or, it’s easy to skip a box or cancel your subscription for any reason! Get started now! 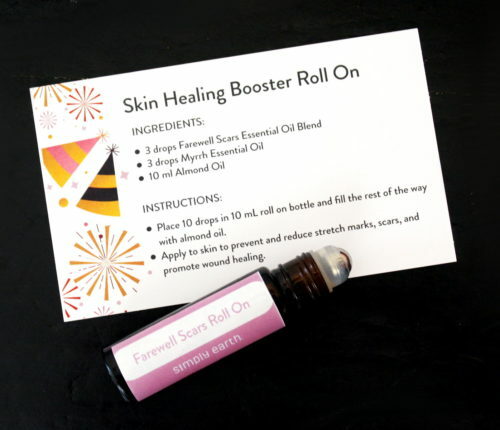 For more simple essential oils recipes, sign up my semi-weekly newsletter to discover more of my original beauty and skin care recipes and projects to try throughout the new year! You can also follow me on facebook and instagram. 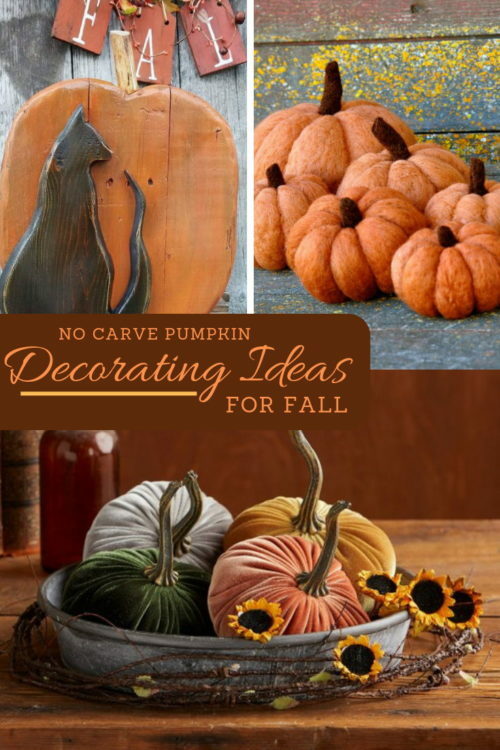 If you’re ready to decorate with pumpkins for fall, then be sure to check out this amazing collection of no carve pumpkin decorating ideas! 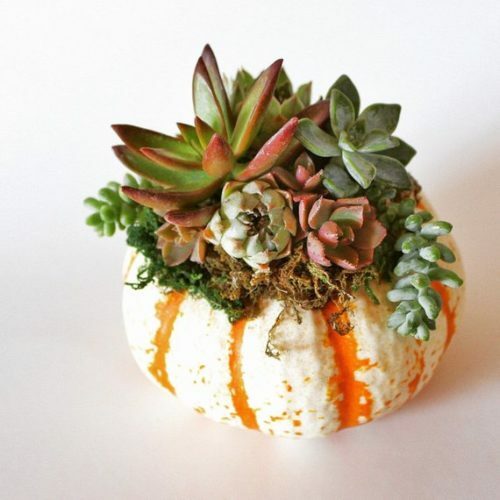 These handmade fall pumpkins are exactly what your home needs! 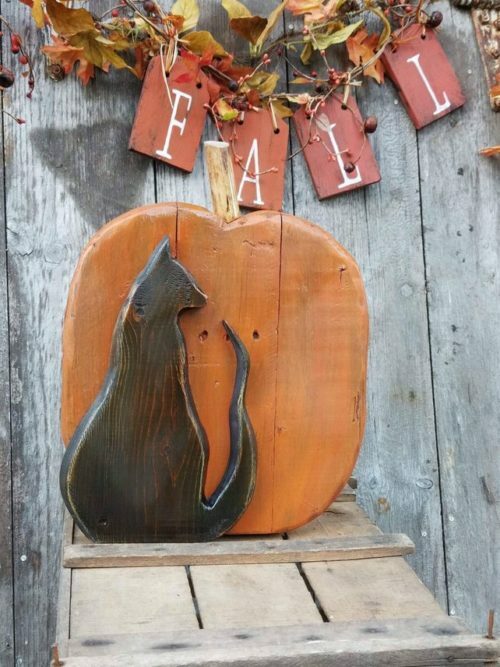 Whether you’re buying seasonally inspired pumpkin fall decor for your home, or you simply need some inspiration for your own DIY no carve pumpkins, you’ll love these handmade fall pumpkin ideas! I loved carving pumpkins a kid. And then, of course, doing it all over again with my son throughout his childhood. At this point in my life, however, I’m kind of over the gooey, slimy pumpkin guts, kids stealing through the night to smash the neighborhood jack-o-lanterns and the eventual downfall of my creations. Assuming my carved pumpkins survived being demolished by tricksters, watching something you spent a good deal of time on shrink and fade and rot, seems almost self defeating. To be honest, I’m of that mind to simply paint a faux pumpkin that I can reuse every year. If dealing with messy pumpkin guts and seeds aren’t your thing either, then consider these fall pumpkin decorating ideas instead. 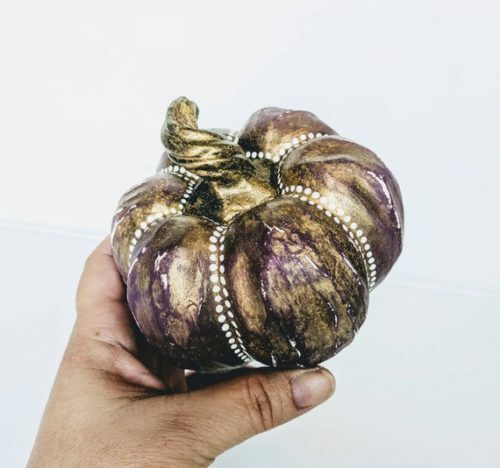 Velvet pumpkins are all the rage this year and are one of the top no carve pumpkin decorating ideas this fall. 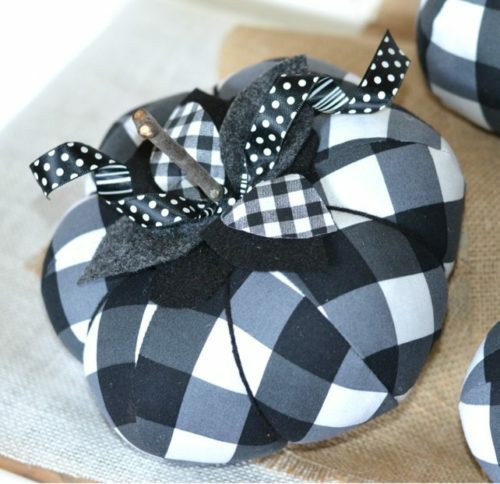 This collection of four handmade velvet pumpkins from Your Heart’s Content is the perfect way to stay on trend. 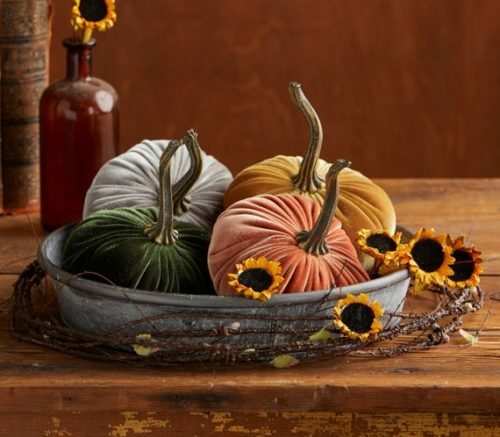 You can buy this collection of velvet pumpkins nestled in a round metal tray with faux grapevine and sunflowers to make a gorgeous, fall centerpiece! Or purchase the any of the elements separately based on your fall decorating needs. Shop now. Prefer your pumpkins in miniature? Why not try your hand at needle felting? 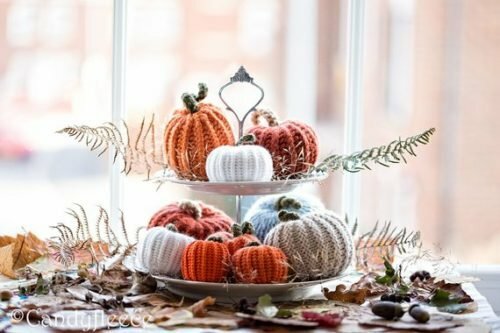 These needle felted pumpkins are super cute! Not to mention, needle felting is a LOT easier than you might think. I made needle felted wine bags this past spring and had a blast making them. 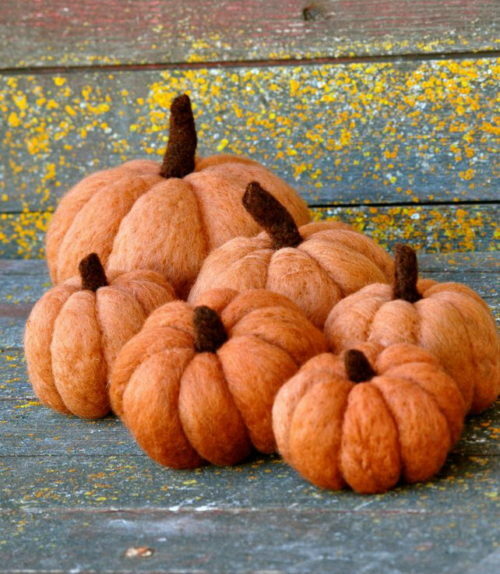 In fact, I’m all signed up for another needle felting class next week – to make needle felted pumpkins and gourds! This pumpkin needle felting kit from Bear Creek Felting comes with everything you need to make an adorable needle felted fall pumpkin for your Halloween or Thanksgiving decor. Shop now. If your preference is paper crafts, then you’ll love this eco-friendly pumpkin crafted from an upcycled book! 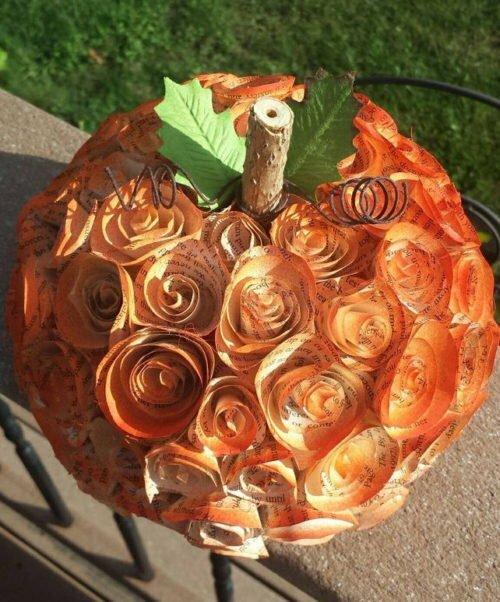 The repurposed paper book pumpkins from Treecycled Crafts are covered in hand cut paper book page roses made from old discarded paperback books. They are then decorated with twine, berries, ribbon or ink for unique, one of a kind fall decor. Shop now. Ready to buy those faux pumpkins to create your on fall decor using these no carve pumpkin decorating ideas? Then be sure to check out the great selection of craft materials at Consumer Crafts. Or, shop my fab fall favorites for a creative selection of handmade fall style, accessories and home decorating ideas. 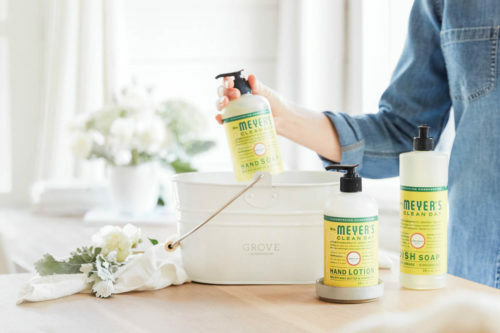 For more great seasonal decorating and DIY ideas from Soap Deli News blog, be sure to follow me across all of your favorite social media platforms. You can find me on G+, Pinterest, Facebook, Twitter, Blog Lovin’ and Instagram. Or, alternately, you can also subscribe to Soap Deli News via email for future updates, DIY projects and recipes. Witch hazel extract has been used for centuries as a home remedy to soothe everything from swelling and sores to infections and natural skin care. Keep reading to learn more about the powerful herbal properties of this flowering shrub as well as some of my favorite recipes and uses for witch hazel extract. Witch hazel has a long history of use in North America. The Native Americans originally used both the leaves and bark from witch hazel as a natural folk remedy. Since then, we’ve discovered that witch hazel contains tannins making it useful in both traditional medicine and herbalism. 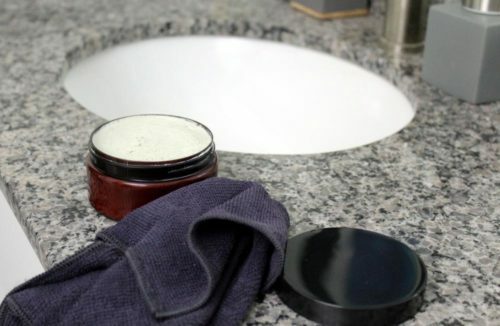 These tannins are what make witch hazel an astringent – and an effective anti-acne treatment. 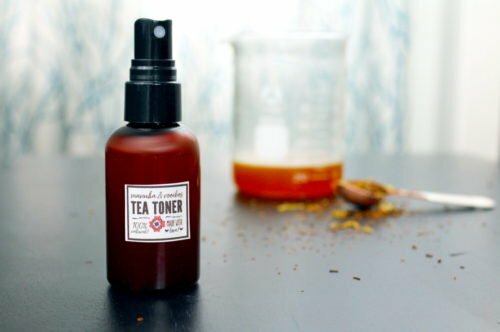 In addition, witch hazel also helps to reduce inflammation, draw skin together (which is why it’s such a great skin toner!) and slow bleeding. Recently my dog, Jasper, had some issues with his ears, which is common for dachshunds. With money being incredibly tight right now, I wanted to avoid the vet if possible. While I have no issues with going into debt for my darling little stinker (more on that here) I prefer to avoid it if there are other remedies that are both safe and effective. Choosing the right brand of witch hazel however is just as important as choosing the right essential oils. Not all witch hazel is created equal. Some varieties of witch hazel have additional ingredients you may not want for every application. While others sting or burn when applied. Because of this, I use Mountain Rose Herbs Witch Hazel Extract. Mountain Rose Herbs witch hazel extract has double distilled. Unlike most commercial witch hazel brands that have only been distilled once, their witch hazel only contains 14% alcohol. As a result their witch hazel contains 86% organic witch hazel extract. 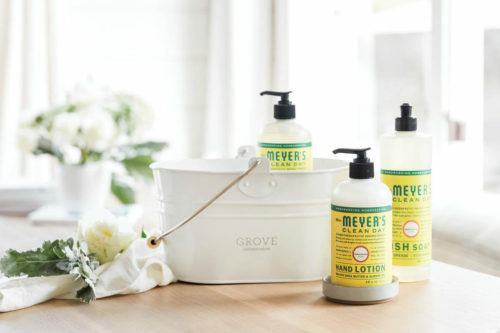 This makes their witch hazel more potent and soothing. Additionally, it neither stings nor smells like alcohol. I applied a Mountain Rose herbs Witch Hazel Extract to Jasper’s affected ear twice a day using a cotton ball to gently clean his ear and remove excess wax. Not only did he stopped scratching almost immediately after application, but his ear was almost completely back to a healthy pink after a week of use. With a long history of medicinal use throughout the world, it’s no wonder witch hazel has since become a staple in today’s households. There are many uses for witch hazel for health and skin care in your home. 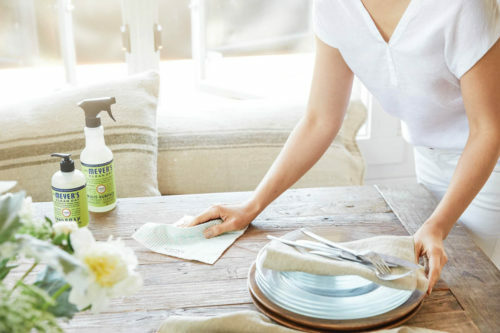 Additionally, as it’s naturally deodorizing, witch hazel is effective both as a natural deodorant as well as for deodorizing tough pet odors in your home. For these applications, simply use your witch hazel extract in a spray bottle with up to 12 drops of essential oil per ounce of witch hazel as desired. 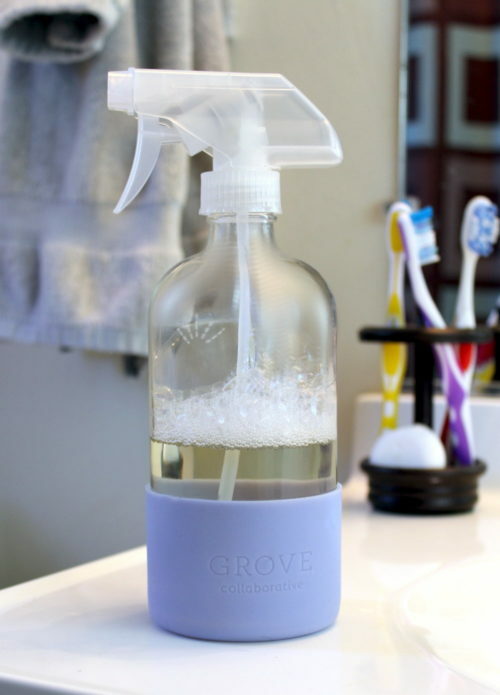 Learn how to save on natural cleaning products at Grove Co.
Or try out my recipe for making your own odor neutralizing spray to use on tough odors throughout your home. 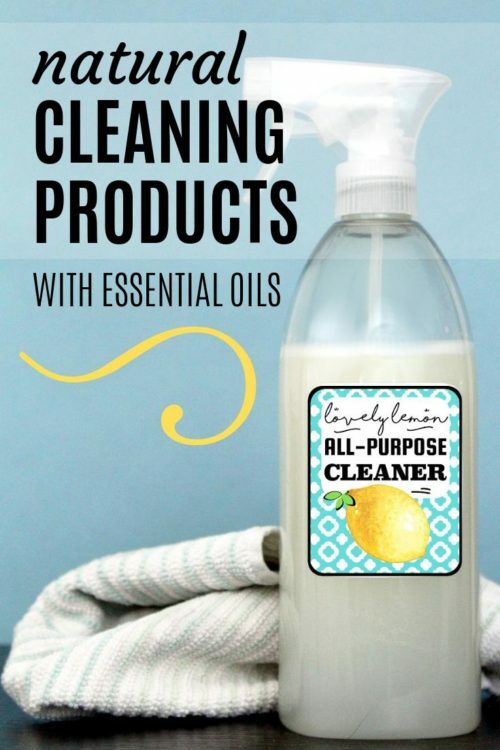 Made using naturally sanitizing & deodorizing witch hazel in combination with an odor neutralizing fragrance oil or essential oil, this homemade household product effectively conquers even the toughest smells. Part of the fun of using witch hazel however is using it as an ingredient in your own natural skin care recipes. 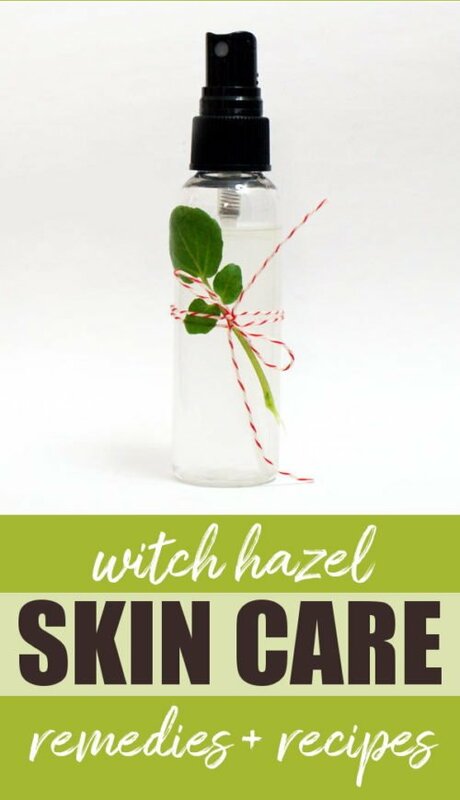 Following you’ll discover some of my favorite uses for witch hazel through a collection of my favorite witch hazel skin care recipes. 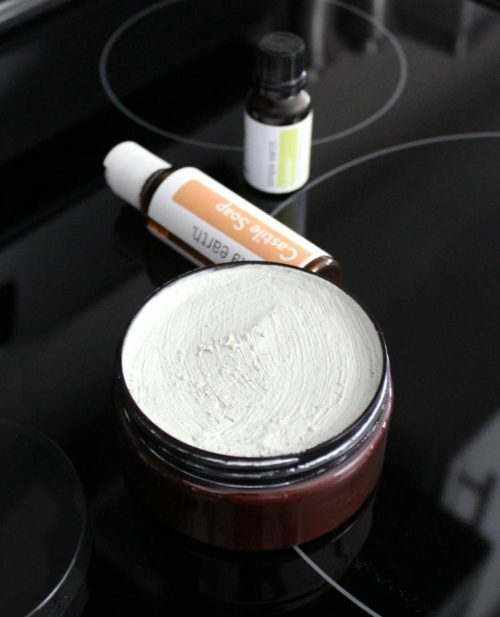 You can discover even more wonderful homemade skin care recipes by following my boards on Pinterest. 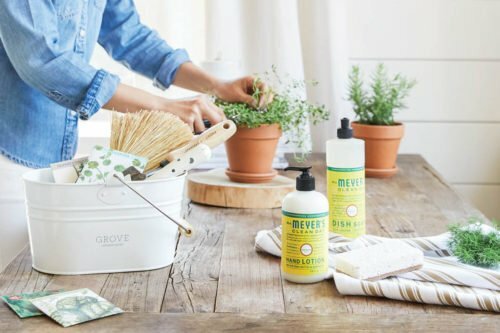 Or learn how to make your own DIY bath and beauty recipes with an all inclusive DIY kit from The DIY Collectives. 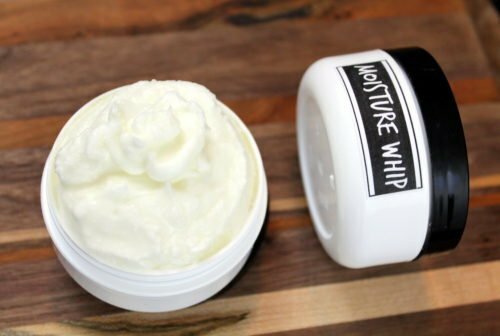 If you aren’t yet ready to dive into making your own natural skin care products, there are several great companies that I recommend. They are The Green Life, Spark Naturals and LOVEGOODLY. 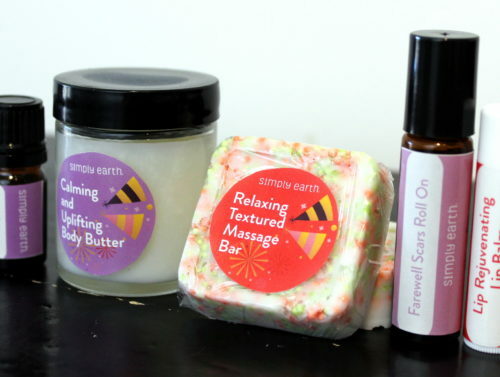 And then of course there are hundreds of amazing bath and beauty artisans on Etsy. 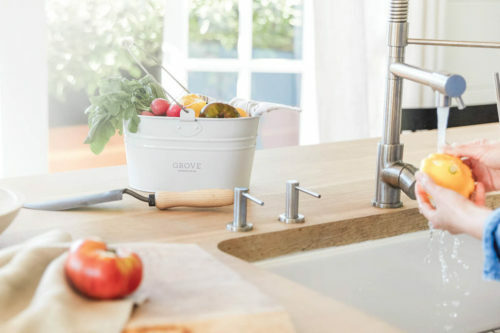 Stay Up To Date on New Recipes and More! Be sure to follow Soap Deli News across all of your favorite social media platforms so you never miss a post! You can find and follow me G+, Facebook, Twitter, Blog Lovin’, and Instagram as well as subscribe to Soap Deli News via email for future updates, DIY projects and recipes. If you make homemade soaps or bath & body products I’d love to see them! Simply add the hashtag #soapdelishowoff to your instagram posts!